Anyone who knows me well, knows one thing: “I don’t like Monday’s!” It’s always tough saying goodbye to the weekend and I always seem especially sluggish coming off the weekend. As much as I love bigger projects, sometimes it is fun, and refreshing to complete a smaller, simpler one. This craft seemed a perfect one to share especially on a rainy Monday. I love Rock and Roll and am a big fan of music in general. My husband and I were sitting around on a Saturday night, Watching “That Metal Show on VH1 Classic” kicking around ideas for projects. 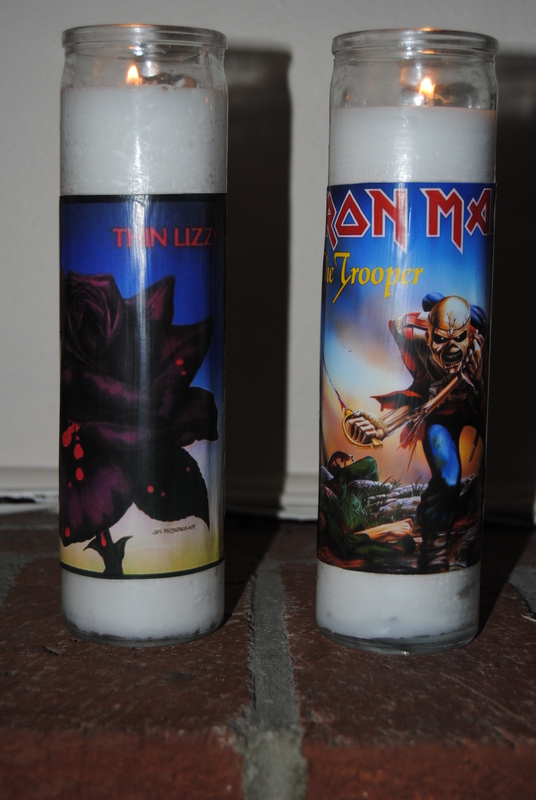 I thought it would be cool to make Rock and Roll candles. The dollar stores sell long white glass candles. They are perfect and literally any image can be put on them with a little Mod Podge. 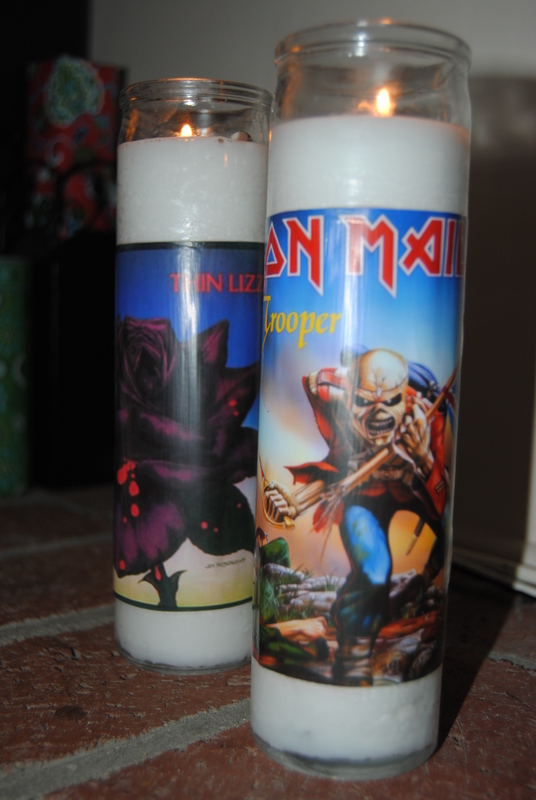 We chose Iron Maiden and Thin Lizzy images and printed them out 5×7 on photo paper. We cut them out and placed them aside. I applied Mod Podge Matte onto the glass. I centered the photo and glued the image down. slowly smoothing out any creases. 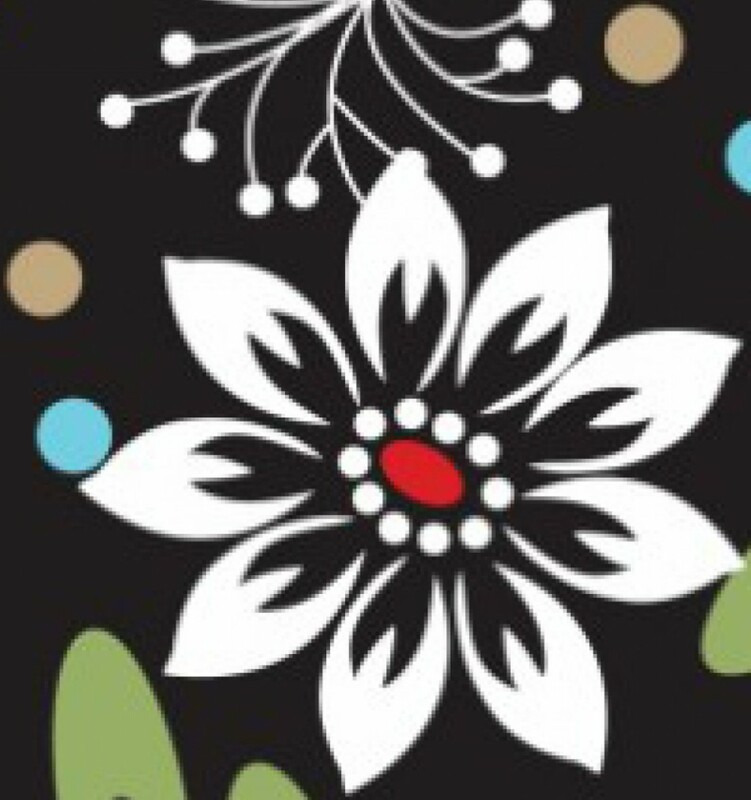 Once dry, I applied 2 coats of Mod Podge with a medium brush over top of the image to seal it. If Rock N Roll isn’t your thing. Any image will work so let your mind run wild. Family photos, scrapbook paper, sports images- Maybe Monday’s aren’t so bad after all!